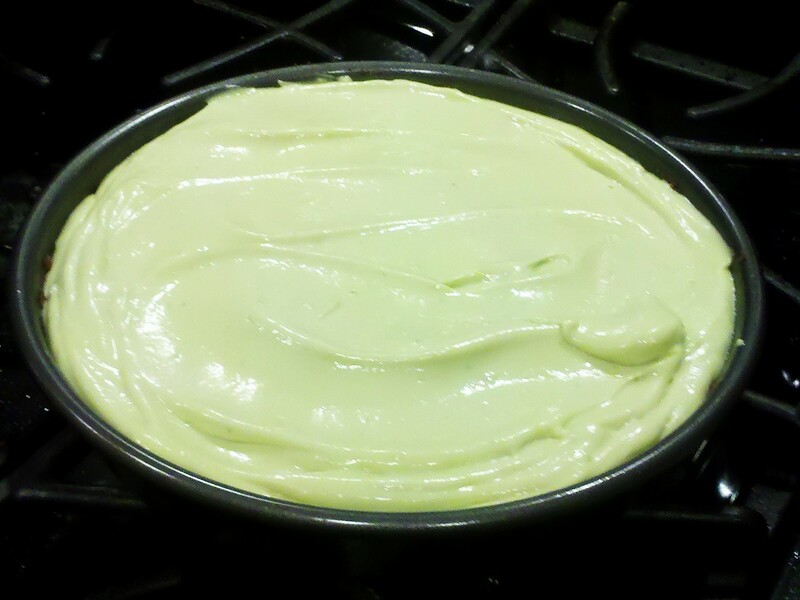 Now that I’m done with my taxes I can do something fun – like post my first ever cheesecake – Avocado Lime Cheesecake. Note that this recipe does not have gelatin so it will yield a delicious creamy texture. 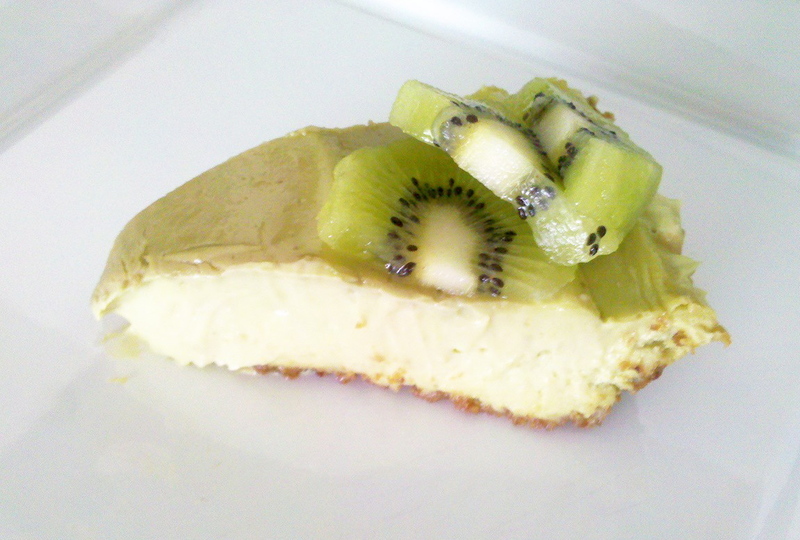 Restaurant style cheesecakes use gelatin which give it a more solid texture. In a bowl combine almond meal, graham cracker crumbs, sugar and salt. Then add softened butter and 1 tablespoon water. Mix together with your fingers until crumbly. If mixture is too thick add 1 more tablespoon water. Press the mixture onto bottom and up the sides of the baking pan to form the crust. Bake for 10 minutes. Then remove, let cool. Note: Grate the lime zest first, then juice it. 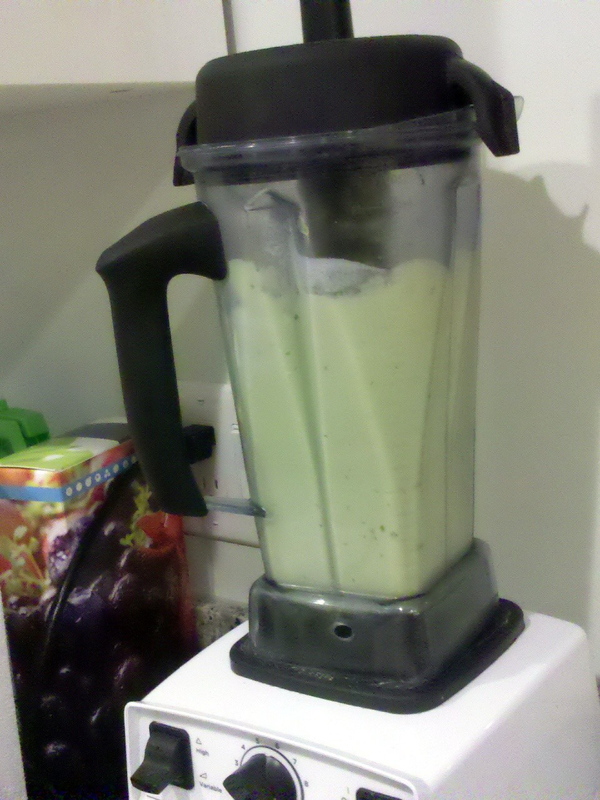 In a high performance blender (such as Vitamix) put ingredients in order as listed, liquids first then solids. Blend on low, quickly increasing speed, then blend on High. 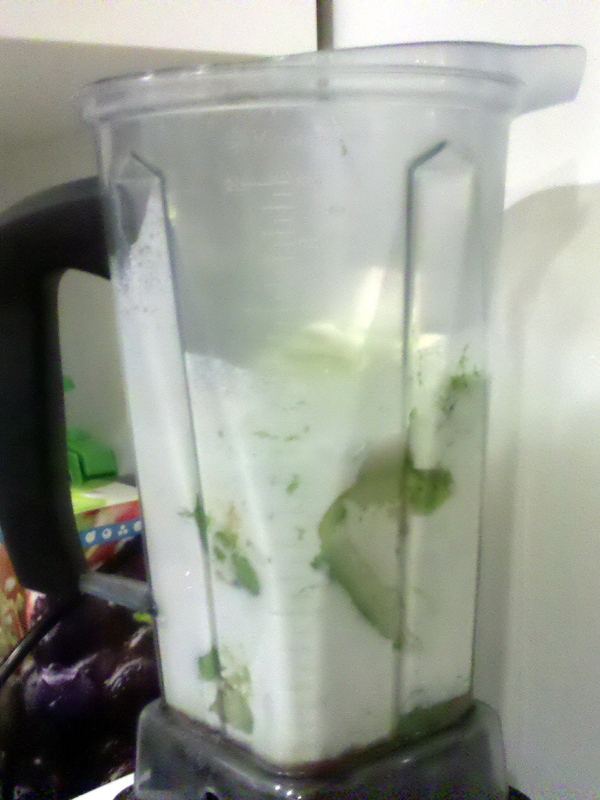 Push the ingredients down with the wand until it looks like a green smoothie about 20-25 seconds. A high performance blender will pulverize everything, including the zest. You won’t have any zest pieces in your cake when it’s done. Pour filling over your baked crust. Bake for 20-25 minutes. Them remove from oven and let cool for 1 hour before refrigerating for 2 hours minimum. Thank you! You would never know there were avocados in this dessert. This is a tasty one. I’ve made it twice so far and it’s always a hit. I think it’s that time of year to make it again. I’m glad you tried it! I forgot to mention this recipe doesn’t include gelatin so it will yield a more creamy texture. Restaurant style cheesecakes use gelatin to give it a more solid texture. I hope you enjoyed it! This is really unusual. I’m impressed at such an unusual flavour for your first cheesecake! This sounds so amazing! Two of my favorite foods, avocado and lime! Definitely going on the list of things to try! Hi, thank you for the compliment. I plan to making it again today or tomorrow. 🙂 It’s really good! Looks beautiful. I never would have thought avacado in a cheese cake but my husband loves, loves, loves cheesecake so this will go on the list to try. I have to ask though, I’ve never heard of almond meal – where do you find that? I probably showing my kitchen inexperience but …. I love learning new things! Off to Trader Joe’s – thank you. I am making the cheesecake again off of my own recipe and just realized I forgot to add 1/2 cup sugar to the ingredients for the filling. Otherwise you will have one sour cheesecake! Got it, add 1/2 cup of sugar – thank you. Gld I got you thikining about cheescake and my what a stunner you made! I have had a sweet avocado mousse before so can imagine that this must have tasted amazing. Now you´ve inspired me! That is the most delicious looking cheesecake I’ve seen all month! Thank you for the compliment Tanya! One of your blog posts reminded me of a former co-worker – we had an open office space layout so you could see pretty much everyone in the office if you were on the mezzanine. Needless to say our boss used to call her “The Flirt”. Gosh that was like a decade ago. Sounds refreshing and summery. Never would’ve thought to put avocado as a cheesecake flavor! Thank you for the compliment! Yes it was a refreshing dessert. I think the mixture could have been made into ice cream by using a different blending method maybe by adding ice. Hmmm … another dessert idea? This sounds amazing! Definitely gonna try it. It was really creamy … just enough sweet but not overwhelming. Thank you for your comment!